At Compass Physical Therapy LLC we believe in taking the time to fully understand and treat the cause of your pain, resulting in lasting relief. Our evaluations are comprehensive, our treatments thorough, performed by a highly skilled therapist for 45-60 minutes at every appointment. Our entire staff approaches healthcare with the highest integrity, striving to treat every person as we would want one of our family members to be treated. "Tom has literally saved my life!!! I was in so much pain—after beginning treatment things were certainly back to normal—such a relief!" Tom’s 29 years of experience in physical therapy allows him to draw from a vast array of manual therapies and modalities to personalize your care and help you resolve your pain. Through exercise and education, Tom will help give you the tools and knowledge to prevent re-injury and stay healthy. Dedicated to your healing, Tom will do all he can to help you achieve your goals and help you find other resources if you need. His personal experience with athletics and injuries gives him insight into many of his patients’ experiences. Tom graduated from The University of Wisconsin–Madison and practiced for 17 years in Milwaukee, WI. In 2005, he relocated to Bend with his wife and two sons. When not treating others, Tom is most likely to be spotted on a bike or ski trail, the curling ice or a youth athletic competition. "I would recommend my physical therapist (Mychal) to anyone. The PT I received and my improvement is nothing short of a miracle." Mychal’s passion for helping others return to the activities they love inspired and motivated her to pursue a career in physical therapy. A 2011 doctorate graduate in Physical Therapy from Utica College in upstate NY, Mychal practiced in a variety of clinics in the Bay Area until moving to Bend in 2014. Mychal’s perpetual pursuit of continuing education and up-to-date evidence in the field has filled her toolkit with several resources focusing on movement patterns, Myofacial Release and Grade 5 mobilization techniques, allowing her to integrate passive and active treatments. 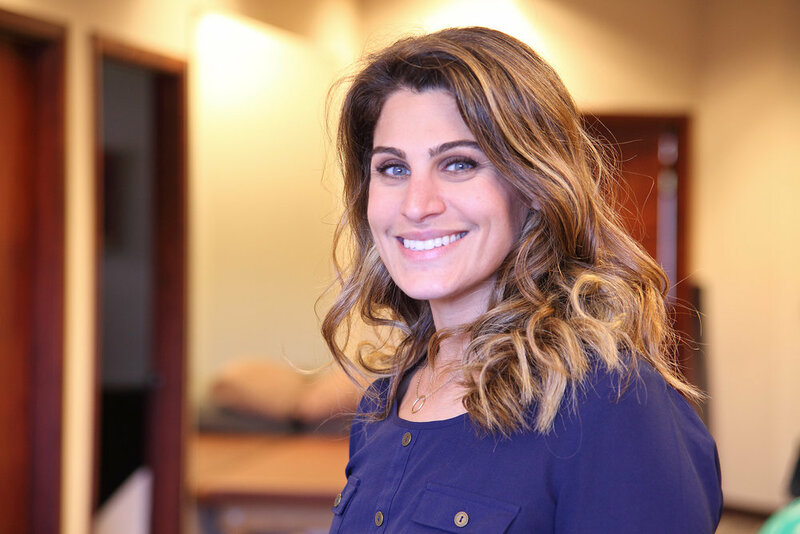 She is currently the only Bend PT certified in DNS (Dynamic Neuromuscular Stabilization), which helps her uncover the source of her patients’ problems rather than just treating their symptoms. She also holds certification in Kinesio Taping. Mychal loves working with a wide range of clients from children to seniors. She encourages active treatment and giving patients tools and knowledge to take control of their symptoms. Mychal was born and raised in Southern California where she took advantage of the southern California weather playing water polo, softball and surfing. She is grateful for landing in Bend where she is able to enjoy all the outdoor activities with her dogs. "My therapist, Nancy, did an awesome job of explaining what needed to be done at home." Nancy was drawn to a career in physical therapy because she wanted to have a positive impact on the quality of life of others. She received her Master of Science degree in Physical Therapy from the University of California at San Francisco in 2000. Practicing for 5 years in the Bay Area, Nancy received extensive one-on-one mentoring from clinical specialists and instructors in the Physical Therapy Residency Program of Advanced Orthopedic Manual Therapy at Kaiser, Hayward. Since moving to Bend in 2005 with her family, she has had the opportunity to work in a variety of settings, including inpatient, outpatient, and home health. These experiences have given Nancy a broader background and recognition of treating the patient as a whole vs. isolated body parts. She enjoys working one-on-one with people and educating others to better health. Proficient in Spanish, Nancy has had great success with treating Spanish-speaking patients in the Bay Area and Madras communities. She welcomes the opportunity to further serve this population in Central Oregon. Born and raised in Minneapolis, MN, Nancy especially enjoys the Central Oregon outdoors by mountain biking, trail running, Nordic and alpine skiing, and camping with her husband and two sons. When not exercising outdoors, she likes to practice yoga and Pilates, another tool she shares with her patients. "Kate has been the first to teach me how to move, basic things like how to get out of my chair, what chores I can do and what to delegate." Kate practices physical therapy with an emphasis on kindness, creative problem-solving and mutual accountability. She received her Doctorate in Physical Therapy from Northern Arizona University in 2006 and subsequently worked in diverse settings including inpatient rehabilitation and outpatient orthopedics. Kate has helped people with both orthopedic and neurological disease or injury achieve whole-body and whole-life benefit through physical therapy. Influenced by her interest in yoga, dance and running, Kate emphasizes postural integrity and exercises tailored to the individual needs and preferences of her clients. Kate seeks to provide the tools and support to help patients manage their long-term physical well being. Born and raised in Anchorage and Seattle, Kate feels fortunate to return to the Northwest with her husband and young daughter after many years in Flagstaff, AZ. Outside the clinic, you’ll find Kate on the hiking trails, digging in her garden, out for a bike ride or running in the beautiful terrain of Central Oregon. "Cathey Kahlie is exceptional! Competent, professional and friendly!" Cathey, a native Oregonian, graduated from Pacific University with a Masters degree in physical therapy. She has studied multiple disciplines including advanced training through the North American Institute of Manual Therapy, Strain Counterstrain, Craniosacral Therapy, Muscle Energy Technique, Mulligan courses and numerous others. Her extensive training in functional exercises, yoga and Pilates (including 2004 Pilates Instructor Certification) coupled with various cupping, kinesiotaping and other modalities helps her obtain positive results and an extremely loyal clientele. You will likely spot Cathey sharing her passion for all winter sports, hiking, cycling, yoga and Pilates everywhere on the mountain, trail or a variety of local studios. She specializes in spine care, chronic pain management and sports medicine and is proficient in Spanish. "The administrative staff were always courteous and on top of details relating to my appointments and insurance. I highly recommend Compass Physical Therapy." Samantha is one of the first smiling faces you are likely to see at Compass Physical Therapy. She has many years of experience in the billing industry, having helped various medical offices, including Compass Physical Therapy, with their billing and credentialing. Wanting to be part of a team, she graciously joined Compass Physical Therapy full-time and now handles all facets of patient care including scheduling, prior authorizations, insurance verification(s) and billing. Her in depth knowledge helps her educate clients about costs and prior authorizations, attempting to take the guess work out of your health insurance benefits. When not working, Sam loves to run the trails with her dogs, keep strong and flexible at various yoga studios and raft the many Oregon rivers with her family. "You have an awesome staff. Very professional and friendly." Rhonda wears every hat at Compass Physical Therapy except PT. Drawing on her education and former careers in journalism, massage therapy and fitness instruction, she supports all areas of patient care. When not busy managing CompassPT and the Pietrowski household, she enjoys reading, hiking, good food and hanging out with good friends. She also loves volunteering for various roles at Mirror Pond Church, KIDS Center and her boys' sports events.